Make your own homemade peanut butter with ease thanks to this nifty, easy technique that turns out creamy, healthy, tasty nut butter every time. 1. Put the peanuts in the bowl of a food processor fitted with the steel blade attachment and drizzle 2 tablespoons of the oil over the top. Pulse to break up the peanuts, add the salt and sugar, if using, and blend until very smooth. (For a chunky peanut butter, stop before the peanut butter reaches a smooth consistency.) You’ll need to scrape down the sides of the food processor periodically and, if the mixture is very dry, drizzle in more oil by the teaspoonful. 2. Store the peanut butter in an airtight container in the refrigerator for up to 2 months. If the oil separates from the peanuts, simply stir to recombine. For honey roasted peanut butter, add 2 teaspoons honey after you begin to pulse the peanuts and just before adding the salt. How to Make Homemade Peanut Butter Recipe © 2015 Patrick Evans-Hylton. Photo © 2015 Hilary McMullen. All rights reserved. All recipes and photos used with permission of the publisher. Homemade peanut butter is really good and very healthy. So itʻs great to have a recipe like this one on the website. This is truly the basic recipe for peanut butter—take roasted nuts, a little oil and salt, and you have peanut butter. It was a little savory for the family, so we needed the sugar. I tend to make peanut butter without measuring, and I think this is a good place for a beginner who needs some place to start. You can add a little more sugar, tasting along the way, if your family needs it. Whatever amount of sugar you add will likely still be less than the amount in store-bought peanut butter. The process of making the peanut butter took about 6 minutes, but it needed a little extra oil to achieve the very smooth texture I like. I processed again for another 2 minutes after adding more oil. Mmmmmmm…homemade peanut butter! What a treat this is! I was in Virginia for work and purchased “Super Extra Large” Virginia peanuts, which I used for my peanut butter. I also used peanut oil, thinking it couldn’t hurt to enhance the peanuts with the flavor of the peanut oil as opposed to missing a chance to add flavor had I used the vegetable oil option. I skipped the optional sugar. I also didn't use honey. My peanuts were lightly salted, so I also skipped the salt. I’m most often a crunchy peanut butter fan, so I stopped, as directed, before reaching a smooth consistency. My peanut butter didn't need more oil. The taste is fresh and delicious, and I haven't had any separation issues to date. The peanut butter definitely didn't need any sugar. Because this was so quick and easy, I'm now eager to try either almond or cashew butter next, and also pistachio. And maybe hazelnut will follow! 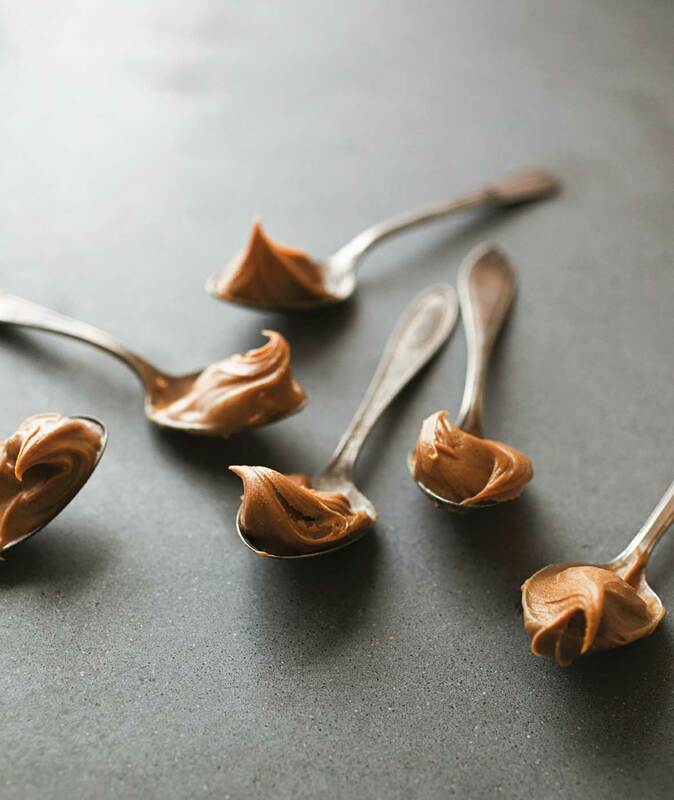 So many of us grew up eating the jarred brands of peanut butter on every grocery store shelf—and for many of us that is what defines what peanut butter should taste like. After having really grainy homemade peanut butter in college I no longer avoid peanut butter like it was the plague. I am now in the stage of life where I care about what is in my food and appreciate the natural flavors provided by pure ingredients. The recipe came together quickly and easily and it was delicious. The texture really only seemed noticeably grainy when I ate it off a spoon. Once made into a PBJ with fresh bread, it was perfect. My family also uses peanut butter in smoothies and in one of our favorite cookie recipes as well as in little granola balls we like to keep in the fridge. This peanut butter is perfect for all the of the above. That said, if you are looking for something as smooth and sweet as your store-bought peanut butter, this is not the recipe for you. I live in Virginia so we have easy access to wonderful fresh roasted peanuts so I was excited to use them. I added the sugar but think next time I would prefer to add honey instead as I believes this aids in the smoothing process, too. I pulsed for about a minute and then just let the Cuisinart stay on for another 4 to 5 minutes. I scraped down the sides, added another 1/2 tablespoon oil, and let it go another 4 minutes. My husband thought I should have stopped at the fist 5 minutes because he loves it chunky. Next time. I’ve been making my own PB for years using a food processor. I do not add extra oil or sugar and prefer the less refined texture and taste. A good tip for making chunky style is to reserve approximately 1/3 to 1/4 of the peanuts and mix until the texture is satisfactory, then add the reserved peanuts and process for about ten seconds. It’s difficult to mess it up. Just keep processing and know that it will come together. The longer you go the smoother it will be. The quality and added ingredients of the peanuts matter. One caution. Many dry roasted peanut have added garlic and onion which change the taste away from traditional peanut butter flavor. Good to hear, Brab, thanks for sharing. Especially love the crunchy trick! We’ve tried it without oil but we had trickiness with the consistency consistently becoming paste-like…I’m wondering if this is in part a function of the type and age of the peanuts and also maybe even the horsepower of the food processor? At any rate, greatly appreciate the insights. 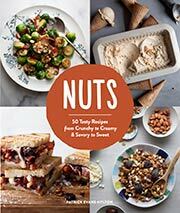 Nat, and a healthy alternative to store-bought, sugar-laden peanut butter.